Usually, the problem is with one of the hardware components. Whether you have a broken main gear or trolley, count on us to replace it. These issues are usually easy to notice. The opener will simply stop doing its job even though the motor is working. Issues with the motor and the circuit board are more serious. In case of complete failure, replacement is the only solution. Our company is fully equipped even with the most complex and advanced spare parts, including electronic components. Our advice to homeowners is to pay close attention even to the smallest of issues such as a slightly bowing rail, since they can cause poor performance and quicker wearing. Just get in touch with us and we’ll provide the required repair service. Caring for an electric operator isn’t a simple and quick task and this is the reason why we offer to help automatic garage door owners with it. Our work begins with close inspection of all components for damage, wearing and other issues. Testing the safety sensors is essential. We run two type of tests to confirm that these devices work properly to give you and your family the highest level of safety. Lubrication is another major aspect of maintenance. We use lubricant which doesn’t attract dust, debris and small insects and doesn’t harden with temperature changes and apply it to the drive chain or rod. Even if you have a belt drive opener, the sections where the trolley makes contact with the rail will receive proper lubrication. Whether you have just decided that you want to automate your overhead door or want to replace the old door operator with a more advanced one, we are here to help you out. 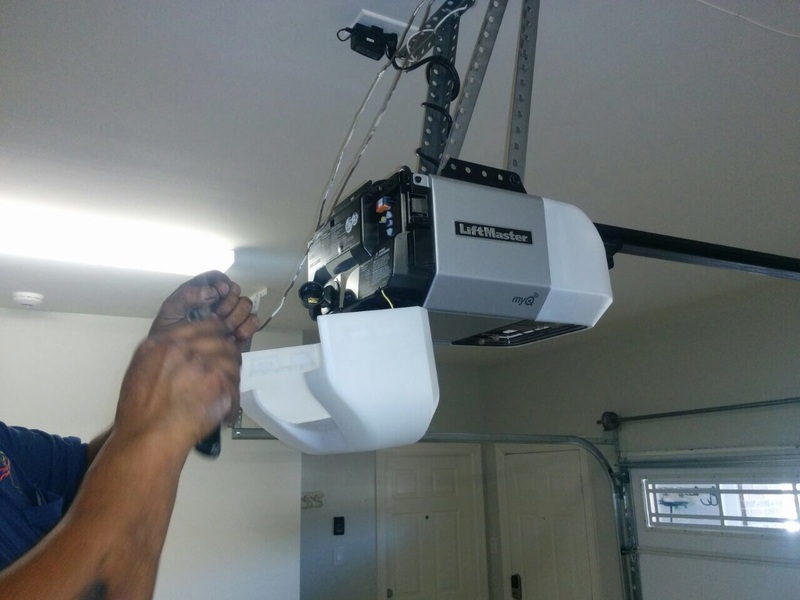 Rely on us to explain the operation and to outline the pros and cons of chain, belt and screw drive garage door openers, to help you with pinpointing the optimal horsepower and to give you an overview of the different innovations such as internet connectivity. Our installation service involves setting up and connecting all components, adjusting the travel force and limits and programming the controls.